bear chat — Moey Inc. 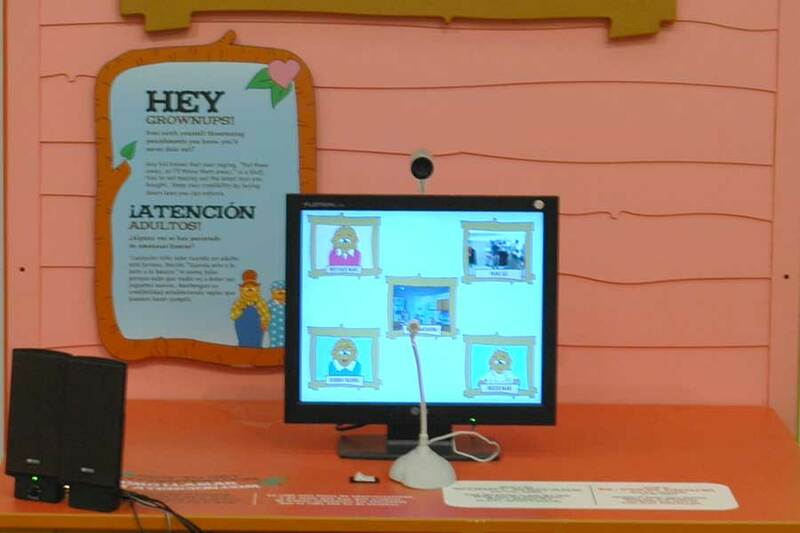 This installation allows children to video chat with characters from the Berenstein Bears. The bears ask children questions and children are encouraged to answer and add to a story. The installation involves 2 cameras and mic stations that are linked so that participants can also speak to each other. This "video phone" technology was very advanced at the time of its development (2002). We built the interactive, the animations, and the programming for the piece.